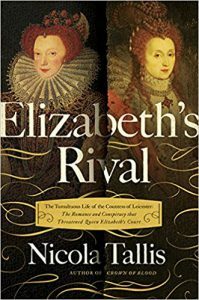 When I was asked to review this book by Michael O’Mara Books I was thrilled to have the opportunity to learn more about Lettice Knollys, cousin to Queen Elizabeth of England. You see, most of you probably know that my favorite monarch to study is Henry VIII, and so stepping outside my comfort zone into the world of Elizabethan England was a little scary. Was I going to like it? Would there be something that would draw me in? In this review I’ll go into the basis of the story and what it is I enjoyed about it. Lettice Knollys was the daughter of Catherine Carey and Francis Knollys, her grandmother was Mary Boleyn, making her a first cousin (once removed) to Queen Elizabeth. Now, if you believe the stories that Catherine Carey was the illegitimate daughter of Henry VIII and Mary Boleyn then she would instead be Elizabeth’s niece. The resemblance between the two women had often been stated and so it, in my opinion, is highly likely that Lettice’s grandfather was indeed the King of England. Lettice married three times, the first was to a man by the name of Walter Devereux. She was seventeen years old when she became Viscountess Hereford and in 1572, after his promotion, she became Countess of Essex. By all accounts it appeared the couple had a strong relationship, they even had five children together. Walter Devereux, Earl of Essex as in great favor with the Queen of England. Elizabeth liked him very much and Devereux was not afraid to speak his mind with the Queen – something not many around her were brave enough to do. Devereux spent a lot of time in Ireland trying to subdue uprisings. He was looking for fame within the Queen’s court and offered to fund the campaign through his own pocket – something that would later cause him and his family much grief. It was during one of Walter’s campaigns in Ireland that rumors began to spread that she was having an affair with Robert Dudley, Earl of Leicester. 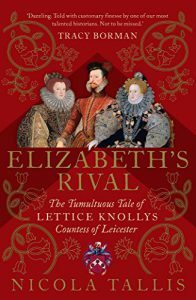 Kenilworth Castle and Chartley were not too far from one another and Lettice was known to make trips to Leicester’s estate to hunt. This was something many other nobles did as well. Often Leicester was at court and so they would not even see one another. After many years away, Walter Devereux, Earl of Essex died of dysentery in 1576. Lettice mourned the loss of her husband and two years later secretly married Robert Dudley, Earl of Leicester without the Queen’s permission. While she once was one of the Queen’s favorite things turned quickly for Lettice when Elizabeth found out about the marriage. Their relationship would never be the same again. When Robert Dudley died in 1588 there was the hope that Lettice would once again be welcomed back to court and into the Queen’s favor. Unfortunately for Lettice that would not happen. In 1589 she married a Catholic by the name of Christopher Blount. While the marriage appeared to be a happy one he would eventually be executed for treason. This book was wonderfully written and researched. It was a quick read for me because the story was told so well – I couldn’t put it down. Tallis does a wonderful job of laying the foundation of Lettice’s life before court, including that of her mother, Catherine Carey. Catherine and her husband were ever-loyal to the Queen and died without her husband by her side. Francis Knollys was not granted permission to come back to England to be with his wife. 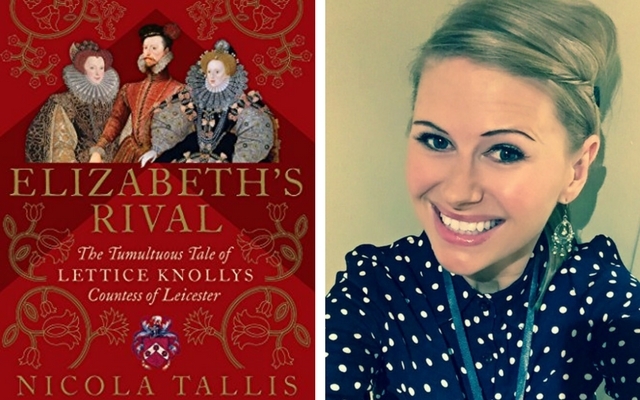 Tallis shows the side of Lettice Knollys that many don’t know – the doting mother who until their last days smothered her children with love and support. Most articles I’ve read about her life focus solely on her scandalous relationship with Robert Dudley, but this book gives the full picture of who she was as a person. I now have a whole new respect for Lettice Knollys. If I had half of her courage I would be happy. ← Could This Really Be Mary Howard? Thank You, wonderful review! I cannot wait to get this book. Lettice & Walter are my 13th Great Grandparents; there is so much I want to learn about them.